Cue the cortisol. Joshua, a two-year old toddler, just got a peek at his new babysitter. She seems like a nice person, but she is new and this bewilders Joshua. He feels a little stressed. Out come the body’s stress hormones: adrenalin and norepinephrine first (triggering the fight-or-flight-or-freeze response) followed by cortisol (which helps manage the body’s equilibrium in moments of stress). Fortunately, Joshua’s parents are right there with him, soothing him and introducing him slowly to his new caregiver. His cortisol levels drop back to normal and his body filters the adrenaline and norepinephrine out of his system. In the grand scheme of Joshua’s development, this was actually a positive experience. Joshua experienced a stressful situation and then, with the help of his parents, managed it. His brain and body learned something about coping with new challenges and he will be the stronger for it. This was what the Harvard Center on the Developing Child calls, positive stress. Unfortunately, Joshua may also experience severe hardship, such as the loss of a loved one, a natural disaster, or a scary injury. His stress response will skyrocket and it will take much more than a few soothing words for his body and brain to return to normal. The good news is that Joshua can tolerate these experiences if they are limited in duration and he has caring, supportive adults to help him adapt. With supports, his brain and body can recover from this tolerable stress and he won’t be much worse for wear. The real problems arise when Joshua experiences severe or prolonged adversity, especially without adequate adult support. That’s when stressors can turn toxic. Go back to Joshua’s basic stress response: the brain signals Alert!, Alert! and stress hormones are released activating the body’s fight-or-flight response: his heart rate, blood pressure and breathing increase, sugar courses through his blood vessels. Imagine if instead of being soothed back to a relaxed state, Joshua stayed on high alert. Imagine if his stress response system was triggered frequently, day after day, week after week, month after month. This is what the Center calls toxic stress. It’s not hard to imagine adverse situations that might chronically activate Joshua’s stress response: if his parents were to become seriously ill, lose their jobs or their home, are jailed or beaten, develop mental health problems, or become consumed by the economic hardship of poverty. Abuse or neglect, or exposure to violence, are particularly risky triggers of toxic stress. The chronic, unrelenting activation of his stress response system, even at a low level, can also alter the architecture of young Joshua’s developing brain, harm the development of his immune system and metabolism, can even impede healthy organ development. Toxic stress puts Joshua at risk of impaired cognitive development, psychological disorders and chronic disease as an adult. So stress is a funny thing. A little bit of it is good for us, helping us learn to cope with the changing circumstances of life. A dramatic onslaught can feel very painful but can be tolerated if buffered by caring, supportive relationships. But the extreme activation of the stress response, as well as the unrelenting steady drip, drip of it, can be most damaging—a toxin that can alter our brains and bodies and change our futures for the worse. Stress is a funny thing. A little bit of it is good for us, helping us learn to cope with life. We can even tolerate the occasional extreme stress if it's buffered by caring supportive relationships. But chronic, toxic stress causes an assault on our bodies and brains, changing our futures for the worse. Can We See Toxic Stress in the Brain? Which of these neurons has been exposed to toxic stress? 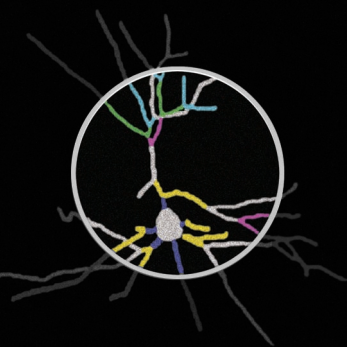 This neuron has been exposed to toxic stress and has fewer connections and a weaker brain architecture. A typical neuron in this region of the brain has many connections and a strong architecture. For scientists at the Harvard Center for the Developing Child, the answer is clear. In Image #1, the neuron is surrounded by numerous healthy connections that indicate the typical development of a strong brain architecture. In Image #2, there are fewer connections branching out, indicating a weaker brain architecture and the exposure to chronic, toxic stress. 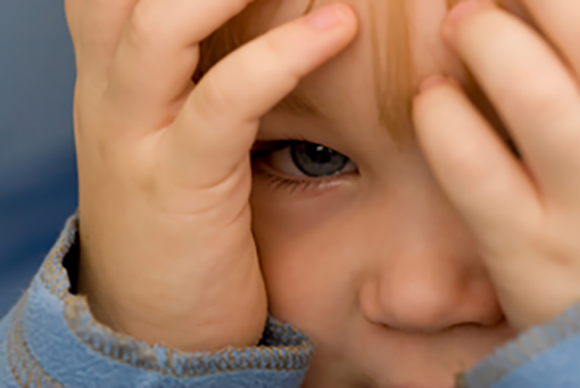 Scientists now know that chronic, unrelenting stress in early childhood, perhaps caused by extreme poverty, neglect, repeated abuse, or severe maternal depression, for example, can be toxic to the developing brain. While positive stress (moderate, short-lived physiological responses to uncomfortable experiences) is an important and necessary aspect of healthy development, toxic stress is the strong, unrelieved activation of the body’s stress management system in the absence of the buffering protection of adult support. This image depicts the structure of neurons in the areas of the brain that are most important for successful learning and behavior in school and the workplace—the hippocampus and prefrontal cortex. 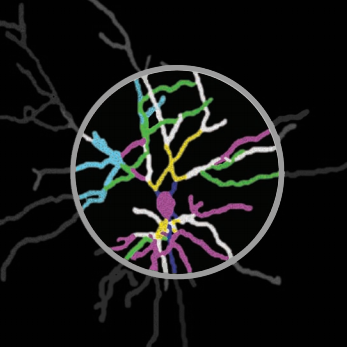 Note that the typical neurons above have grown rich dendritic connections, while the neuron damaged by toxic stress has much fewer connections.